Carpet spotting is a method used to remove carpet stains. Getting stains out of carpets can range from easy to difficult and time consuming depending on the type of stain. A carpet stain can reappear after some time even when cleaned properly cleaned. Thankfully there are products and techniques that enhances carpet stains removal. Beverages with dark dyes can be tough to remove from carpets. 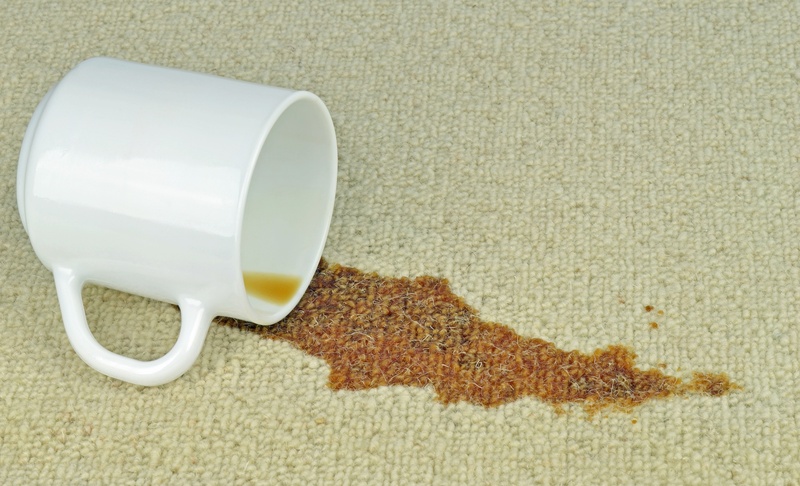 Various juices, wines, colas, and coffees are common causes of carpet stains. The compound responsible for their dark colors is called Tannins. This is a natural substance found within many plant based foods and beverages. 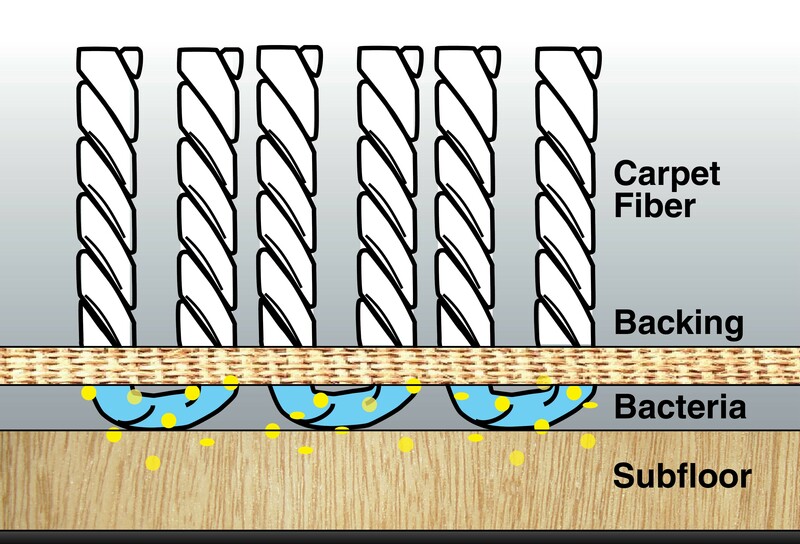 Directly targeting tannins with carpet spotting aids in an efficient stain removal. Multi-clean’s recommended product for beverage cleaning is called X-ray. This is a hydrogen peroxide cleanser aimed to eliminate tannins while deodorizing carpet fibers. Begin blotting from the outside of the stain to avoid spreading. Blot the stain as much as you can with a dry white cloth. Spray the stain with a spotter. Use a carpet brush to work the cleaner into the carpet. Wet vacuum the stain. Repeat this process until the color of the stain is not visible. Even if the stain is no longer visible, there is a chance of if reappearing. The return of a carpet stain can lie in the backing of the carpet.When the stain is removed, underneath may be liquid that can not be seen. After some time it can rise to the carpet’s surface, reappearing as the stain that was once removed. Once this happens, dampen the stain first and repeat common practice carpet spotting method. Visit Multi-Clean’s Carpet Care website for more information on products and carpet cleaning techniques.